Baby Amelia wasn’t breathing normally, and next thing mum Lauren knew, she was being whisked away to NICU. Lauren, from Havant in Hampshire, tells the full story. “Our little Amelia, was born at 40+4 - a perfect pregnancy! Labour was VERY quick, three minutes after arrival in the delivery suite and we were greeted with our very own princess. I then had complications and I believe this hold up is what saved my little girl’s life." 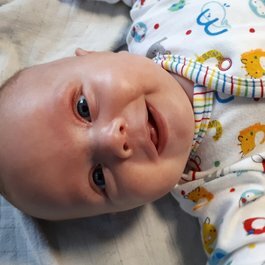 “Two hours after her safe arrival, after being whisked down to theatre, I was finally reunited with my husband cradling our beautiful daughter. Still feeling weak and shaky I asked my husband to lay her next to me as I was worried about dropping her (a decision I later came to regret)." “At this point, my husband noticed something strange with her breathing (she was sucking in from under the ribs and making a strange sound). He asked the midwife if this was normal. The midwife had also noticed and said, "I think this might be due to the quick delivery and once she has had a feed the mucus will clear all airways". With help I fed Amelia, but there was no change." “The baby team were called and in came eight or nine doctors. All were very calm and I was not made to feel alarmed at all. One doctor suggested that they take Amelia next door to examine her - assuring me it was just routine. Of course, I agreed, and still believed there was no need to be overly worried." “After nearly an hour, we hadn't heard any progress and panic had set in. I had worked myself up into a state and my husband demanded that I saw Amelia as he could see how distressed I had become." “I was told I could see her but to be prepared. I was confused, because I wasn’t aware that our daughter had been rushed to NICU. I arrived to scenes of my tiny helpless little girl in an incubator attached to tubes, wires and machines. In that moment my world collapsed around me: we were told Amelia had pneumonia... little did we know the worst was yet to come! I'd have given anything just to hold her." “The first night was just torture. Being not strong enough myself, I was not allowed to stay with her, and taken to another room for 'rest'. All I could think about was how 'selfish' I'd been earlier, maybe if I'd held her she'd be ok. I somehow convinced myself it was all my fault." “Amelia reacted well to treatment that first night. 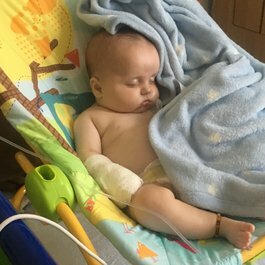 Meanwhile, her nurse worked tirelessly to get her off her feeding tube and made sure all tubes were comfortable and secure enough so I could actually have contact with her and give her her first cuddle!" “What a moment! A mother never forgets that first moment with their child and it was something I had longed for. Amelia's stats seemed good and all was looking bright. By the morning of day two most tubes and wires had been removed and she was doing amazingly well (or so I thought)." “Day three was the day I was taking her home. Amelia seemed well, just like any other newborn, just like her older brother was when we had him. We had spent every second possible in NICU with her and no way would I leave her side again." “I'd seen her progress first-hand and was really excited at the thought of getting her home and to get back to my son. He had very much missed his mummy and daddy and was dying to meet his new little sister, but we had decided not to let the two meet. 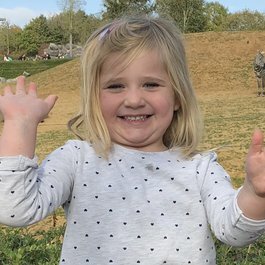 This was due to risk of infection to Amelia and to the traumatic sight of tubes and wires - which we were in no state at the time to explain to our then-five-year-old." “At this stage, Amelia’s consultant asked to see us and pulled us into a little side room. I was really excited and just knew he was going to let her come home..."
“To this day, I'm still unclear exactly what was actually said in this side room, other than Amelia has septicaemia and that they suspected the 'dreaded 'M' word'… helpless yet again! My husband, my rock, the man I'd never seen shed a tear in all the years we'd been together, lent on the windowsill with his back to me, inconsolable... In that moment I knew it was bad." “As family rushed to our sides, Amelia came back from her first lumber puncture: it had been unsuccessful. It was now just a waiting came with the uncertainty hanging over our heads for the next 24 hours until they could re-do it." “After the longest 24 hours in history had passed, off she went again. We just had to know! But this one was also unsuccessful. Time was now too precious to lose. The doctors knew something wasn't right as other tests had proven so, but they wanted something conclusive." 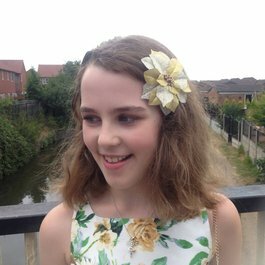 “Amelia sent the next ten days in intensive care being treated for - and fighting - pneumonia, septicaemia, and suspected meningitis."